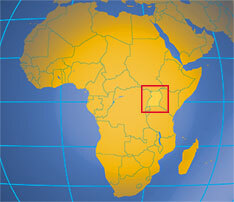 This summer, I’m planning to go to Uganda for a few weeks to serve with an organization called Loving One By One. (aka LOBO). Some of my faithful readers may recall that I was hoping to go last summer, but ultimately needed to postpone the trip. I wrote about that in my post called Uganda 2011. But this year is the year, and this is something I’ve hoped to be able to do for the past several years. After a 5-6 year period of personal change (more like upheaval), it’s good to be (mostly) on the other side of much of that. It’s time to think about more than just myself and my own stuff, and think about helping to change at least one small part of the world. I’ll be writing more about the Uganda plans over the next several weeks and months. But I wanted to give you all a heads up on this, because I’m going to need your support to make this happen. With trips like these, the word “support” means “money.” I’ll be sending out an email to many of you soon, asking you to pray and consider helping to make this trip a reality. There are many reasons why you may want to consider this, and here are just two of them…. 2. (If Reason #1 doesn’t move you) – You may have said to yourself or others in the past, “Gee, I wish Charley would just go to the other side of the world for a while.” I understand; I know I can be a little annoying. Well, here’s your chance to help make that happen! Thanks for thinking and praying about this, and there will be more info to come soon.